Our Lecturers don’t just attend meetings and present their program. They have to plan ahead doing research to put together the program you watch. Have an idea for a program? Why not offer to help your Lecturer. I’m sure they would be thrilled. Did you take any good pictures in the last year? No? Well spring is here (at least I hope it is) along with all the gorgeous flowers and spring buds. Why not take a day trip and snap some pictures for our Photo Contest. The categories are: America the Beautiful, Animals, Grangers In Action, Family Celebrations, Historic Places or Events and Antique Vehicles. You can enter one photo in each of the categories. Complete rules are in the Bluebook. If you don’t have access to one, let me know and I will mail or e-mail you a copy of the Photo Information. Photos may be mailed to me so they arrive by Friday, June 8th or may be brought to Cheshire Grange Hall between 10:00 and 11:00 a.m. on Saturday, June 9th. If you haven’t already marked your calendar for Sunday, June 10th, please do so now. Our Talent and “A Numbers” will be judged that afternoon as part of Grange Sunday and the photos will be on display. The Best of Show Photo will go on to National for Judging. This is the day we Celebrate what the Grange does. Bring your friends. Come to Church at 11:00 a.m. – enjoy a dinner put on by our Youth – view the CWA and photo contest entries and winners and then go upstairs and enjoy the talents of your fellow grangers. This would be a nice way to get a new member. 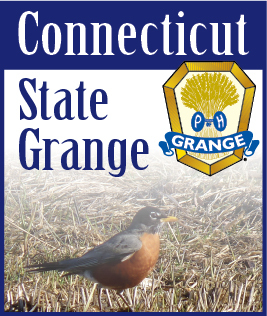 Show them what the Grange is all about.